JumpCloud® Directory-as-a-Service® centralizes user management, thereby making your life easier and increasing security. Once it’s set-up, JumpCloud becomes your central source for authentication, authorization, and management of your users. 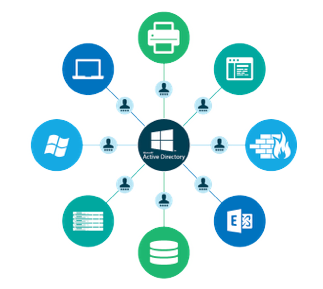 You can easily provision, deprovision, and manage user access to IT resources, such as laptops, servers, G Suite™, Office 365™, legacy and cloud applications, and your WiFi network, among others. This all happens from a cloud-hosted identity management service. Almost twenty years ago, Microsoft® introduced Active Directory®. Over the next decade and a half, AD became the dominant user management platform. This, of course, made a great deal of sense. At the time, Microsoft Windows was the leading operating system and virtually all of an organization’s IT resources were on-prem. AD could handle that scenario and did a great job with it. IT admins simply would provision a user and attach their user access to the right IT resources. End users would log into their machine and have access to whatever they needed. This was possible through a protocol called Kerberos. In a sense, it acted like a single sign-on solution. 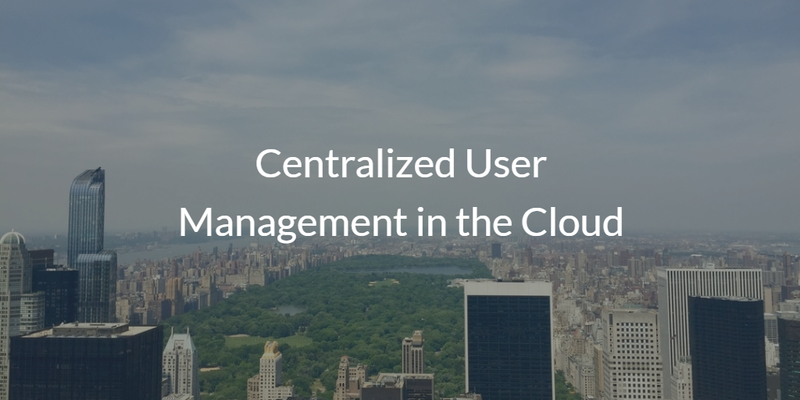 Fast-forward to modern times where centralized user management is a much harder problem to solve. In addition to mobile devices, users are leveraging Mac®, Linux®, and Windows® devices. G Suite and Office 365 are the back-end platforms of choice for email and productivity solutions. Data centers aren’t on-prem anymore. Instead, they are hosted in the cloud and provided by AWS®, Google Cloud, or another provider. Web applications are being leveraged by the entire organization. As a result, IT admins are struggling with how to manage user access to the wide variety of IT resources. The JumpCloud Directory-as-a-Service platform is focused on being the solution for centralized user management in the cloud. IT organizations can skip the heavy lifting of an on-prem identity management solution and have it delivered to them as a SaaS-based service. There is no software or hardware to procure, networking, and infrastructure to build and maintain, or ongoing management. 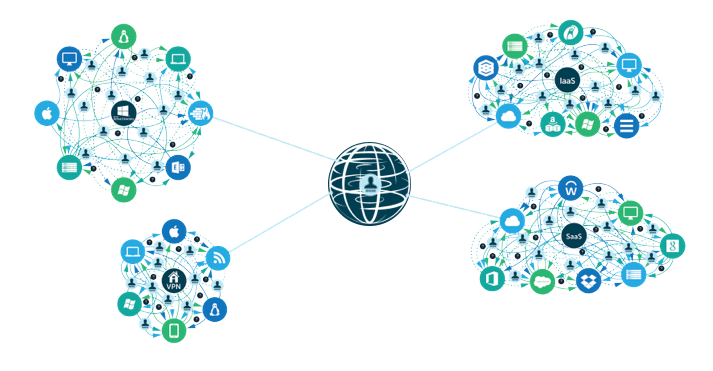 If you would like to learn more about how a centralized identity management platform from the cloud can support your IAM initiative, drop us a note. Also, please sign up for a free account to give our IDaaS solution a try. You will be able to easily, quickly, and securely onboard and offboard your users across a wide variety of IT resources.